Stuck trying to figure out what you can do with your photos to generate a little bit of income? Don’t worry, I understand your frustration, and I can tell you that you aren’t alone; many people have all kinds of really great photos that they know could be worth some money, they just don’t know what to do with them. 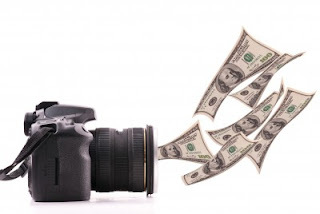 In this article, I will go over 10 easy ways that you can monetize your photos. All of those great pictures that you have can actually be turned into a mousepad. You would not believe how big the market still is for mousepads. Do you have a bunch of pictures from a school soccer team (or any sport for that matter)? You could take those photos and make nice photo books to sell to the parents. Parents love memories of their kids successes and will absolutely pay for a photo book. Similar to making mousepads, you can use your photos to create Ipad, Iphone, and other smart phone covers, which is a heavy market right. It’s very simple to make a photography calendar; we see them in just about every store that we walk into. They are tough to sell in stores, so make an online store yourself and market the store online to generate sales for your calendar with your photographs. A custom poster is not only a great product to sell, it's also a great way to distribute your work and get attention. Anyone who purchases the poster and displays is now also a marketer for you! Tip: You can do all of 1-5 at Zazzle.com. It's so easy to get setup and start selling that it's a no-brainer. A great and somewhat original way to make money with your photos would be to take your photos down to local cafes and ask the café manage to place your photos on the walls. It works out for both parties, as the café gets nice pictures to place on their walls, and you can show your pictures off with a price tag. CD & DVD covers are a simple and effective way to monetize your photos, as many people are always looking for artwork to put on burned CDs. Software is easy to come by, and most of it is free. Desktop wallpaper is still a booming business, and many online companies would love to buy any desktop wallpaper that you have created with your photos. For an example of an artist already doing this, check out Vlad Studios. You can get started quickly with a nice, premium WordPress theme and a PayPal account. This is not a way to make money directly, but you can create an online portfolio that highlights all of your work and points the visitor to various sites that have stuff you have created with your photos for sale. If nothing else, host your work on Flickr (after you watermark it, of course). Finally, with all of these great ideas to monetizing your photos, why not put all of it together and create an online store? You can use the portfolio you have made to direct people to your online store. Zenfolio and PhotoShelter can help you get this done.